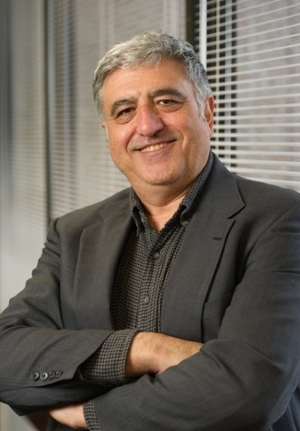 Southern Illinois University Edwardsville’s Ali Kutan, PhD, professor of economics and finance in the School of Business, has received the rank Distinguished Research Professor for his significant scholarly contributions to international financial markets. The accolade is an academic rank awarded to tenured faculty members in recognition of outstanding and sustained contributions to research and creative activities. Kutan’s scholarship includes international finance and trade, macroeconomics and monetary economics, financial markets and institutions and applied econometrics and time series analysis. His impressive publication output comprises 125 peer-refereed journal articles, five contributed papers to various venues and eight book reviews. Additionally, Kutan has given 32 invited conference presentations and workshops. “The Distinguished Research Professor rank is the highest a faculty member at SIUE can achieve,” said Jerry Weinberg, PhD, associate provost for research and dean of the Graduate School. “It has previously been conferred on only 16 SIUE faculty members. "Dr. Kutan has received international recognition for his work on the emerging economies of Eastern Europe and the former Soviet Union," Weinberg continued. "The outstanding work of Dr. Kutan raises the reputation of SIUE as a premier teacher-scholar institution where students can receive an education that encompasses cutting edge scholarship." The accomplished scholar exhibits a strong commitment to incorporating his research findings into the classroom. He emphasizes the limitless cases in which certain principles of economic decision-making can be applied in the classroom. Recipients of the Distinguished Research Professor honor are provided one semester of time devoted to research, along with a $1,000 increase in their academic year base salary. They also receive a medallion to be worn with their academic regalia and their name is placed on a plaque displayed in Rendleman Hall. Photo: Ali Kutan, PhD, professor of economics and finance in the SIUE School of Business.